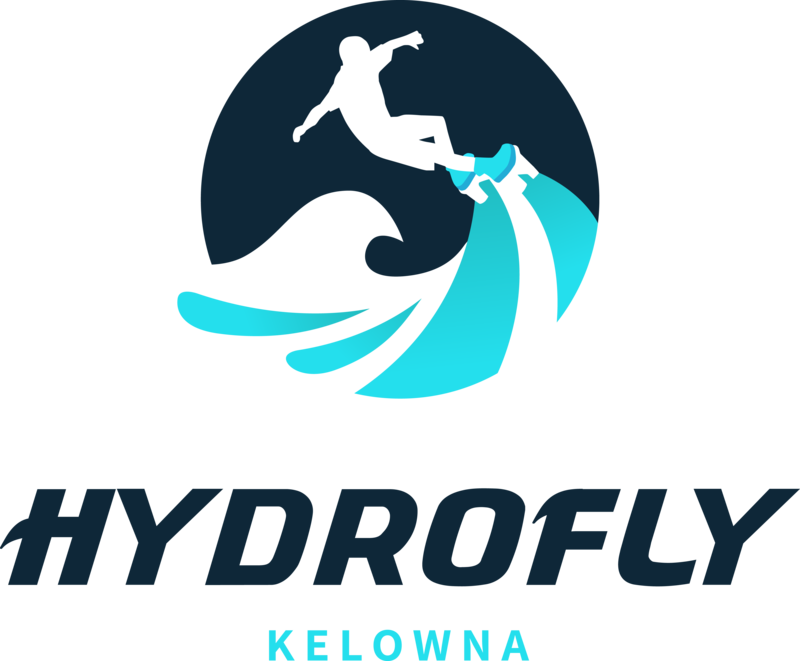 Our hydro-flight family prides itself in bringing this flyboarding rental experience to others. With safety and fun as our top priorities, our biggest reward is watching our new friends leave on a high that they will feel for days to come. Fly solo, bring a friend or drag the whole family along as our team can accommodate and customize whatever experience you are looking for. 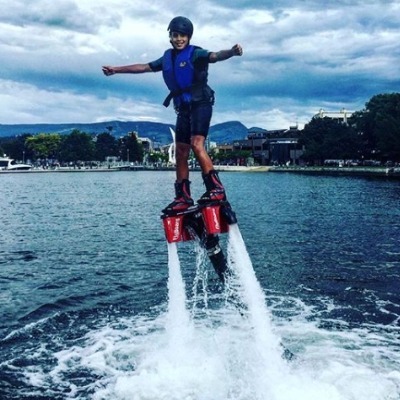 Flyboarding is one of the easiest water sports to learn and no experience is necessary. 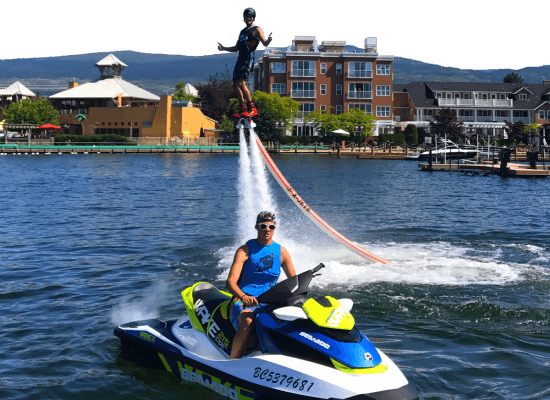 After meeting at our kiosk located at the Downtown Marina, you will be fitted with a life vest, wet suit and helmet. 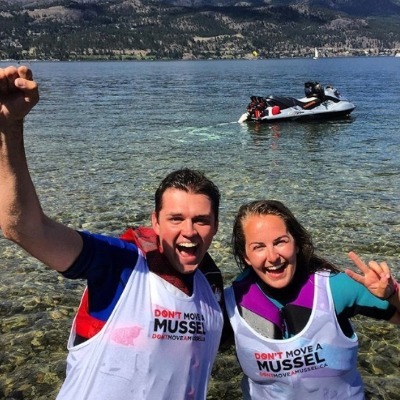 Everyone will join together on our team boat, cruise out into the Okanagan to our special fly spot and get ready for some fun. After one of our certified instructors walks the group through the basics, you will be paired up one-on-one to go at your own pace and have an experience you won’t soon forget! 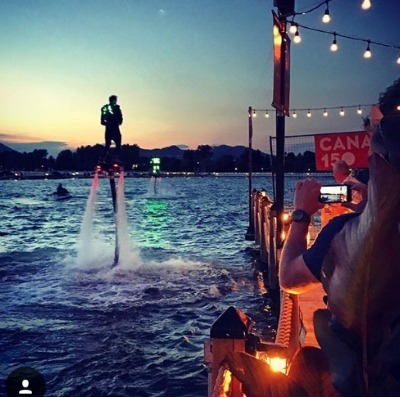 You and your new found flyboard friends will be on the boat together sharing in the fun and cheering each other on. With 25mins of fly time each, you will be on the boat from one hour, up to 2.5hrs depending on how many are in the group. Your average first time flyer is up and out of the water within the first 5 minutes. This the most amazing experience ever! My 9 nine year old son can't stop talking about it! Thanks guys for an awesome day! What a great afternoon. Mike and Kevin made us feel like we were the most important people in Kelowna. The attention to detail and instruction were top notch. Obvious that they got a feel for Ben and Alana’s ability and made the most of the session. Highly recommend for a completely different water front experience. 8 thumbs up from the 4 of us. Had several superb sessions with Sam. Very knowledgeable and he helped me improve really fast! Never thought I could fly like that, Will definitely return often! 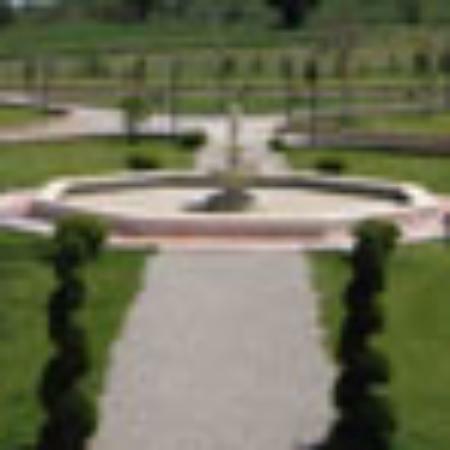 Very professional and family friendly staff. All of the instructors were very patient and encouraging. Overall the experience was one that I will never forget. My 16 year old son and I thoroughly enjoyed the experience. Turns out he's a natural...me not so much. Kevin and Sam were fantastic instructors. I highly recommend you try them out. My son's smile still hasn't faded. 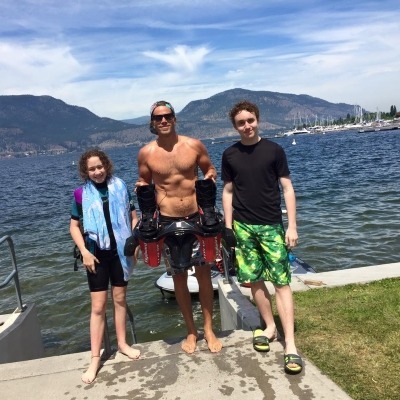 I had the best time flyboarding for the first time thanks to these guys! the instructor was super friendly, welcoming and made my experience with this sport super easy and enjoyable!